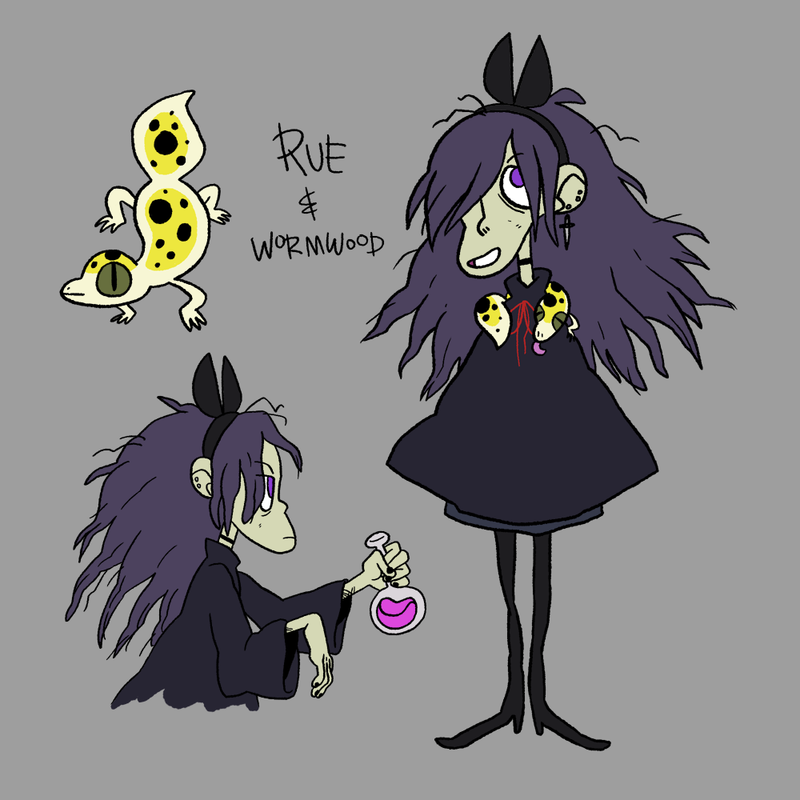 Rue is a quirky witch girl that lives on the outskirts of society with her familiar, Wormwood. Rue spends her days brewing everything from teas to elixirs to poisons. She loves to experiment, but is known to be reckless and has little regard for consequences.